Dubai, UAE, January 22, 2019: Al Wasl reaches 21 points in the U14 category in Dubai Sports Council Academies Championship after beating City FC 6 – 1. The game held at Dubai Sports City was a vital one, as now only three points stand between Al Wasl and Spanish Soccer Schools for the first place position. In the U18 category held at Shabab Al Ahli Dubai Club, du LaLiga HPC won 3 – 0 against Precor FC, while City FC won against Barcelona Academy 4 – 1 and Al Nujoom had a major win against AS Roma 9 – 1. 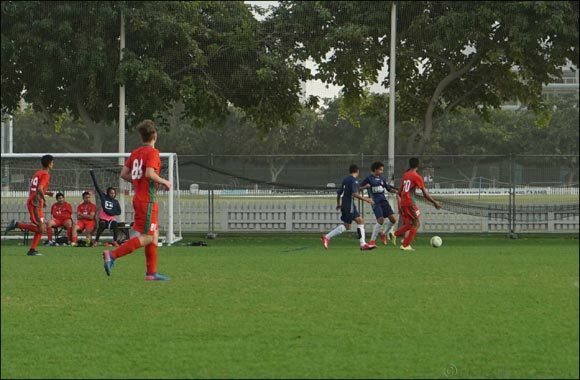 In the U16 Category LaLiga Academy beat Barca Academy Dubai 2 – 0, while Go Pro Academy won against Spanish Soccer School 2 – 0 and Abu Dhabi Elite, the only team participating from Abu Dhabi, beat Talented FA 4 – 1 with a stellar performance. The Dubai Sports Council Academies Championship is the largest tournament of its kind, expanded this year to include 100 teams and 2300 players from private and local club academies. The tournament is played at the finest facilities in Dubai including Al Wasl Club, Shabab Al Ahli Club and Dubai Sports City Stadiums and runs from October 20, 2018 to April 27, 2019.